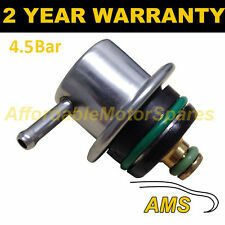 For sale:Fuel Pressure Regulator - Daewoo Lanos 1.6 (2000). The item for sale has been fully checked and tested where possible. 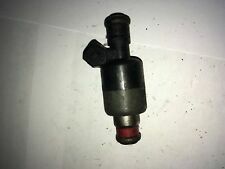 For sale:GENUINE Injector - Daewoo Nabira 2.0 (1999). Condition -Used, good working order. Manufacturer Part Number : 0 928 400 669, 0928400669. MANIFOLD AIR PRESSURE SENSOR FOR OPEL VAUXHALL ASTRA H 1.3 1.9 CDTI MAP 73503657. 0281006177 Diesel Rail Fuel High Pressure Sensor Regulator For FEN AGS 837079599. 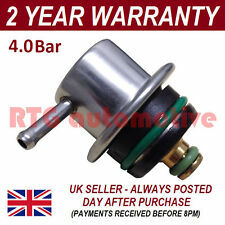 For sale:Fuel Pressure Regulator - Daewoo Lanos 1.4 (2001). The item for sale has been fully checked and tested where possible. Size : 725cc. BOSCH - 725CC. Compatible with premium and E85 fuel. 8x New BOSCH 550cc E85 Fuel Injector Set-up For Ford Falcon BA BF FG 5.4L 8cyl. Type : BOSCH EV14 (Flow matched by Fuel Injector Clinic). 4xNEW 1150CC BOSCH DAEWOO E85 FUEL INJECTOR SET-UP. Size : 1150cc. BOSCH - 1150CC. 03-04 Daewoo Lacetti 1.8L C18SED. Impedance: High Compatible with premium and E85 fuel. 11/00-4/03 Daewoo Lanos 1.5L SOHC A15SM. Size : 1150cc. BOSCH - 1150CC. Compatible with premium and E85 fuel. 7/00 on Daewoo Nubira II 2.0L X20SED. 9/97-7/00 Daewoo Nubira I 2.0L X20SED. 8/94-4/98 Daewoo Cielo 1.5L DOHC A15MF. 3/03-12/04 Daewoo Kalos 1.5L SOHC F15S3. 04/03 - 01/05 DAEWOO KALOS T200 1.5L F15S. 04/03 - 05/05 DAEWOO KALOS T200 1.5L F15S. Type AIR CONDITIONING COMPRESSOR. Compressor Mounting Direct Mount. Pulley Section 6 Groove. This will be of equal build quality and performance.X CLOSE. Size : 1150cc. BOSCH - 1150CC. Compatible with premium and E85 fuel. 3/97 on Daewoo Leganza 2.0L C20SED. 9/98 on Daewoo Leganza 2.2L T22SED. 7/00 on Daewoo Nubira II 2.0L X20SED. 8/94-4/98 Daewoo Cielo 1.5L DOHC A15MF. Size : 1150cc. BOSCH - 1150CC. 3/03-12/04 Daewoo Kalos 1.5L SOHC F15S3. 8/94-4/98 Daewoo Cielo 1.5L DOHC A15MF. Compatible with premium and E85 fuel. 11/00-4/03 Daewoo Lanos 1.5L SOHC A15SM. 03-04 Daewoo Lacetti 1.8L C18SED. 09/94 - 09/95 DAEWOO 1.5i 08Y 1.5L G15MF. Type AIR CONDITIONING COMPRESSOR. Compressor Mounting Ear Mount. Pulley Section A. This will be of equal build quality and performance.X CLOSE. This will be of equal build quality and performance. VEHICLE SUITABILITY # DAEWOO TACUMA LE 2.0L T20SED DOHC 16v MPFI 4cyl 4sp Auto 5dr Hatchback FWD [01/00 - 12/04]. DAEWOO TACUMA LE 2.0L T20SED DOHC 16v MPFI 4cyl 5sp Man 5dr Hatchback FWD [01/00 - 12/04]. They may need reset, reprogramming or require security codes, which we do not have. Ø Almost all of our cars which we are breaking are right hand drive cars. · Item will be sold as shown in the pictures! FORD FIESTA. DAEWOO CIELO. FORD Fiesta WP (FYJA/B) 04/04-01/06 4 1.6 ICK570. FUEL INJECTOR O-RING REPAIR KIT. FUEL INJECTOR REPAIR KIT. Part number 96620255. Online ramp. Injector NEW . Other parts on request. The part can also have smaller storage defects or dusty. USED PETROL INLET MANIFOLD FROM A 1999 DAEWOO MUSSO 2.3 PETROL. CHEVROLET MATIZ (M200, M250) 1.0 03-2005 -. CHEVROLET 96464637. CHEVROLET 96591528. CHEVROLET 965915280. 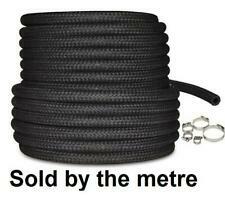 Will this item fit your vehicle?. Our goal is to make your choice easier and save your money. Give us your trust and we'll help you to repair or update your car! Part number 96518620. Online ramp. Injector NEW . Other parts on request. The part can also have smaller storage defects or dusty. Chevrolet 96351840, 96518620, 96620255. Daewoo 96620255. Chevrolet MATIZ (M200, M250) 0.8 0.8 L / 0796 cc 2005.03 - 38 Kw / 52 HP. Chevrolet MATIZ (M200, M250) 0.8 LPG 0.8 L / 0796 cc 2005.03 - 38 Kw / 52 HP. 2006-2014 For Opel Antara 2.0 CDTI. 2006-2014 For Daewoo Winstorm Max 2.0 VCDi. 2006-2014 For Chevrolet Captiva 2.0 D. 2005-2011 For Chevrolet Epica 2.0 D. 2005-2014 For Chevrolet Lacetti 2.0 D. Fuel Pump Part Number 1: 0445010142, 0445010180, 0445010332, 0986437032. 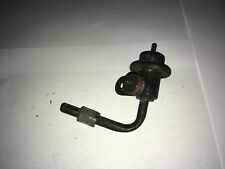 USED PETROL INJECTOR RAIL FROM A 1999 DAEWOO MUSSO 2.3 PETROL. Ramp injector DAEWOO NUBIRA CDX sedan. MPN 90411551. Nous pouvons le verifier. Spain: If you need to know if this piece is valid for your vehicle, you can send US the VIN number of your vehicle. We can check it. For sale:Fuel Pressure Regulator - Daewoo Lanos 1.3 (2002). The item for sale has been fully checked and tested where possible. 4-Mar Daewoo Lacetti 1.8L C18SED. 3/03-12/04 Daewoo Kalos 1.5L SOHC F15S3. 8/94-4/98 Daewoo Cielo 1.5L DOHC A15MF. 11/00-4/03 Daewoo Lanos 1.5L SOHC A15SM. 3/97 on Daewoo Leganza 2.0L C20SED. 9/98 on Daewoo Leganza 2.2L T22SED. DAEWOO 10456240. Auto parts vehicle selection model type / key number / KBA number. BLUE PRINT Klopfen sensor. CHEVROLET 10456240. Marke BLUE PRINT. Due to the enormous variety of parts the factory installed parts, it is technically not possible to bring any vehicle specification in our vehicle Association.